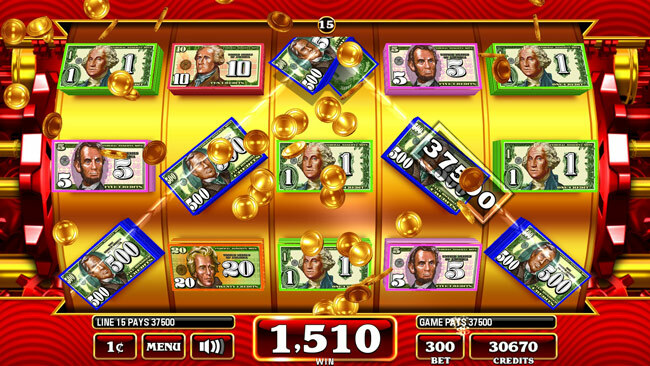 Players will be rooting for three bonus scatters to land on reels 1, 3 and 5 to trigger the Sky Wheel®. 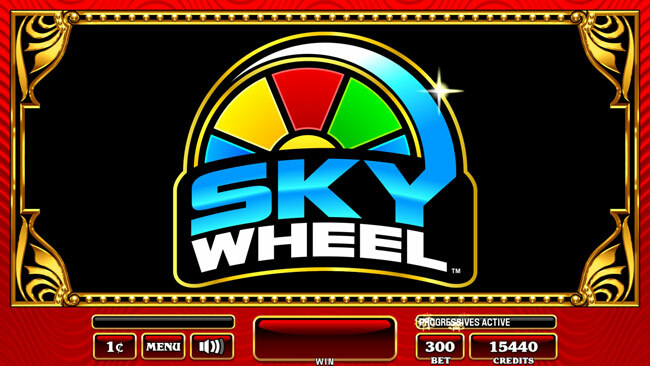 The Sky Wheel is a colorful digital wheel displayed on the vertical Skybox monitor overhead and showcases numerous bonus awards and progressive amounts that will draw players in from across the casino floor. 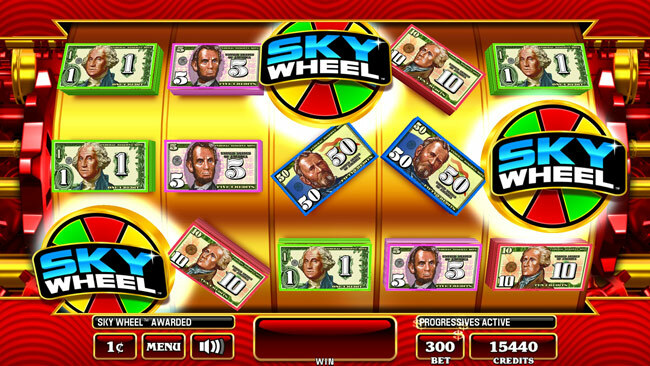 Depending on where the Sky Wheel lands, players may be awarded instant credits which then trigger a secondary wheel that can award up to a 5X credit multiplier or a chance to respin the Sky Wheel. If the wheel lands on the BONUS slice, a secondary wheel appears and awards up to 100 “picks”! 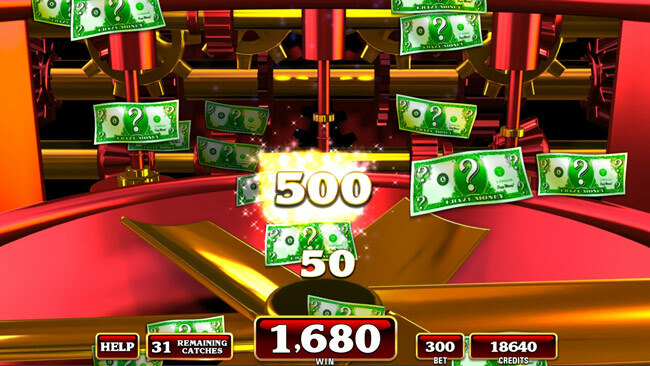 Fans of the original Crazy Money and Crazy Money II will surely recognize the Money Catch™ Bonus round as it maintains all of the fun and excitement of the original game. 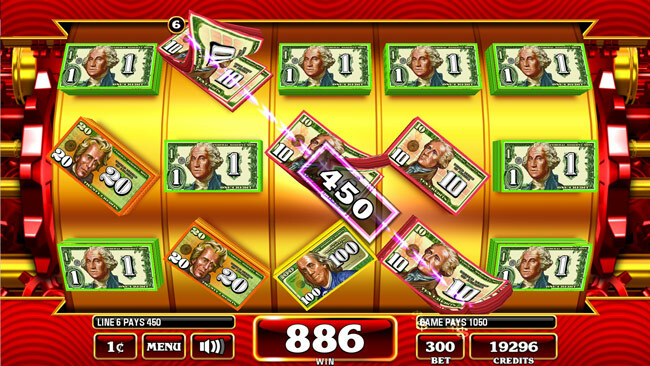 Players use their “picks” to grab flying dollar bills which reveal their credit value once touched. As the Sky Wheel spins, players will be on the edge of their seats hoping for it to finally stop on one of the four available progressive amounts (Mini, Minor, Major and Grand). 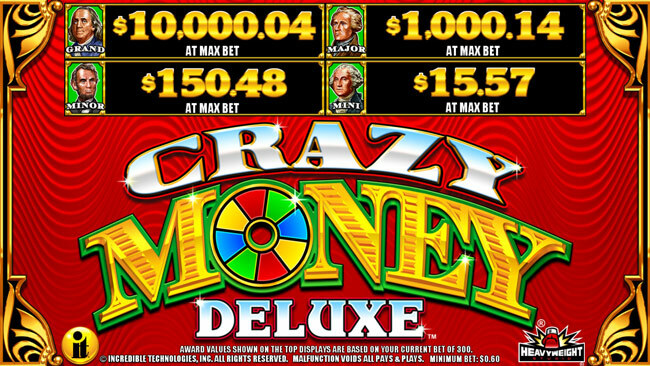 At max bet, players can be awarded over $10,000 if the wheel lands on the Grand section of the wheel!